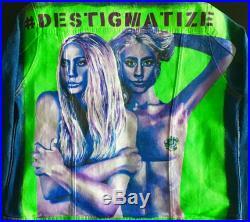 #destigmatize is a line of hand-painted items that merges my passions of art, fashion, and supporting mental illness. Many celebrities and people with a voice are speaking out about their battles and are helping others feel more comfortable in getting help for their own struggles. However, there is still a stigma against those dealing with mental health and physical health issues, and i want to do my part in helping to get rid of that stigma. 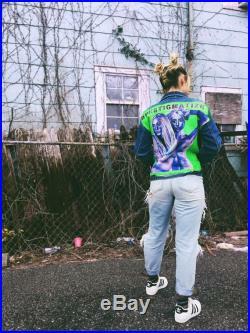 #destigmatize was born as a line of hand painted denim jackets featuring prominent figures who have struggled with mental/physical health (or who are closely linked to people who have) by portraying them in a modern/abstract way. 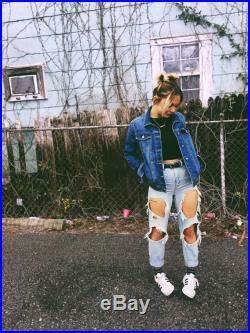 These jackets are not a reflection of whether i think depression, eating disorders, suicide, etc. Pricing varies depending on material, design, and the amount of customization. 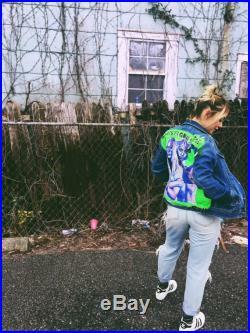 Dm me to order a custom creation.